Did you know there are two types of SPF? Unless you’re into your skincare or a skin person of some description I’m not sure you would know. At the end of the day SPF is SPF right? Well for those of you that didn’t know you can get two types and here are the differences. When picking your SPF you have two choices. You can go for Physical or Chemical and ultimately they will both protect you but in different ways. It’s simple really but physical SPF has ingredients in them such as the minerals titanium dioxide and zinc oxide. These don’t penetrate into the skin but sit on top of the skin. They reflect the suns rays away. This can make them less irritating for your skin. They can be a little heavier which won’t suit everyone and can leave a white cast on the skin. Chemical SPF is absorbed by the skin. They ingredients absorb the rays and convert them to heat to release from the skin. Heat can be irritating for a sensitive skin or someone with redness. Chemical is better if you want something that is more water proof, so if you’re at the beach or if you prefer something that is much more easily absorbed. As with most things it can often be down to personal preference which you prefer to use. Both have benefits over the other that can make you prefer one over the other. No matter what you decide to use always wear protection, even in winter to keep you skin protected. I tend to use different ones for the face than the body and I like something light on the face. The Body Shop is great for the face as its super light but a high factor. 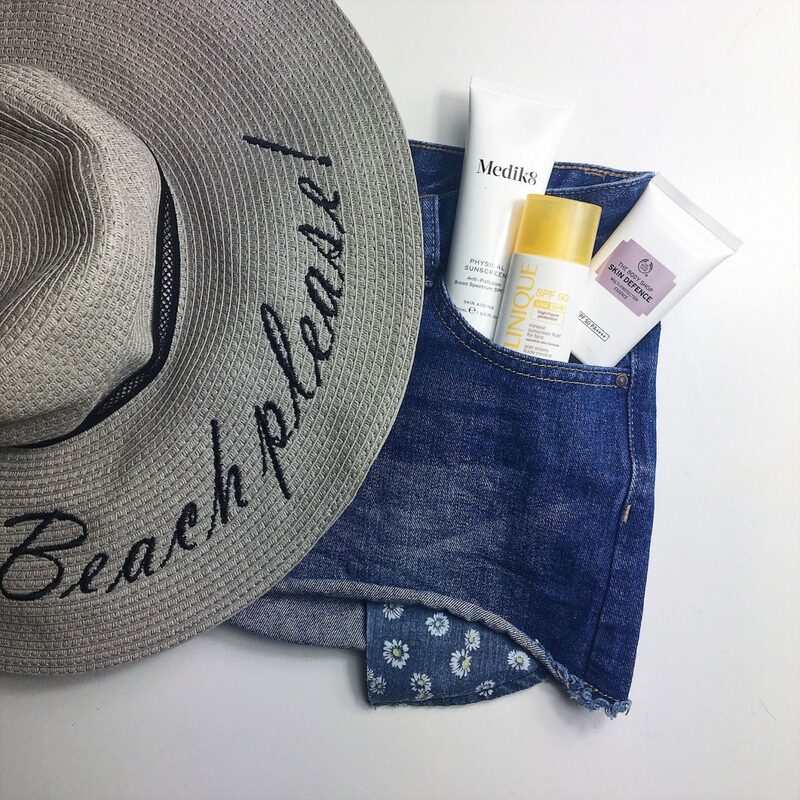 The Medik8 is a great physical SPF which I use on make up free days or if I’ve been having a treatment. For Body or holidays I like the Clinique options as I’m one of those that get heat rash and this little gem seems to help prevent it, touch wood. Let me know your faves in the comments. I love a recommendation.